Can I search, filter, and sort the data on the web app's data editor? 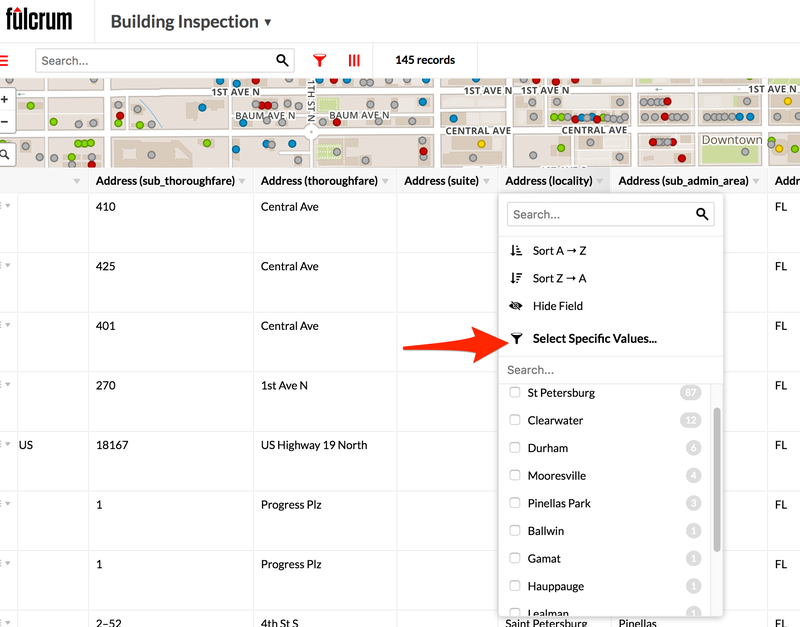 Searching, filtering, and sorting your data on the web app. 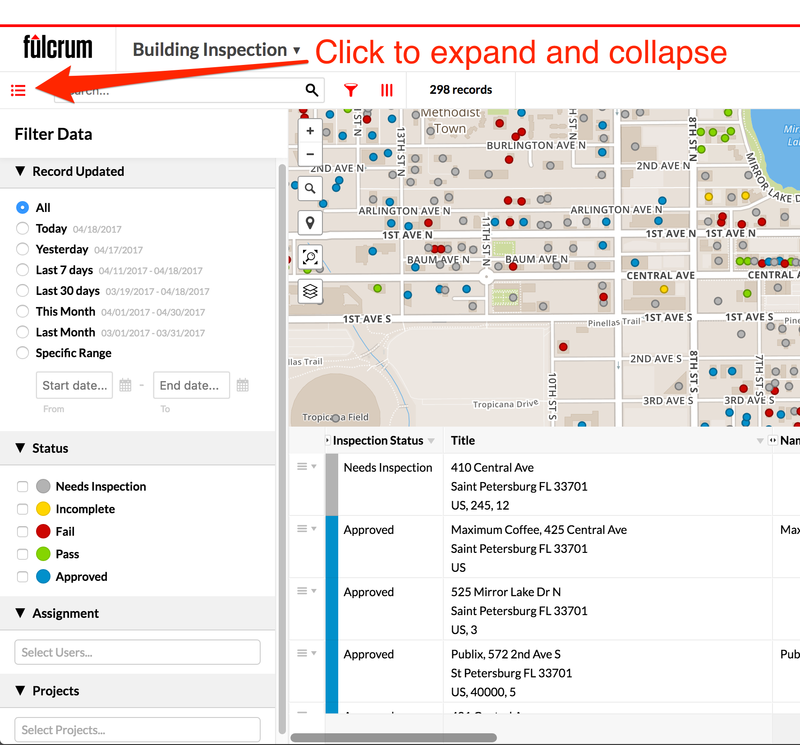 The record editor on the Fulcrum web app has a lot of filtering, sorting, and searching options. To search for records that contain a similar value somewhere in the record, you can use the search bar at the top of the record editor. To return records that have values in specific fields, you can click on the header to the column and then use the search bar within pop-up that appears. To the left of the search box at the top of the data editor, there is a button that will open and close the filter box. The filter options that you will find here are to only display records that were last updated within a period of time, filter records that have a certain status, assigned to specific users, and/or are tagged with a specific project tag. In addition to these filtering options, you will additional filter options by tapping on the funnel icon. Here you can create AND, OR, and NOT group filters that meet your needs. Lastly, when you tap on the header of a row, there is an option to filter records based on values that have been entered into a field in your app. Here you can select specific values that you would like to filter records on. You can sort the record on a specific column by clicking on the header of the column and the selecting the sort option you would like to use.